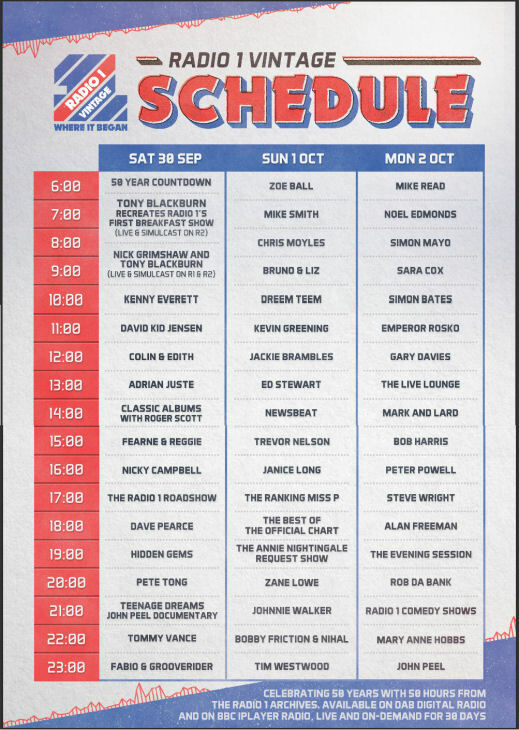 Digital popup radio station Radio 1 Vintage, celebrating 50 years of BBC Radio 1 - what's on and how do I listen? A new, three-day digital radio station to mark BBC Radio 1’s 50th birthday launches at 6am on Saturday, 30th September. Featuring no fewer than fifty one-hour themed nostalgic shows Radio 1 Vintage celebrates the key role that Radio 1 has played in music, entertainment and popular culture. How can I receive Radio 1 Vintage on my DAB digital radio or listen online? Tune to BBC Radio 1 or BBC Radio 2 on your DAB digital radio, THEN look for BBC R1Vintage or BBCR1V in your station list - it might appear just after BBC AsianNetwork or just before BBC R5LiveSportX, or just before BBCR1X (Radio 1 Xtra) and BBCR1. If you can see the above BBC stations in your DAB station list, you will be able to receive Radio 1 Vintage. 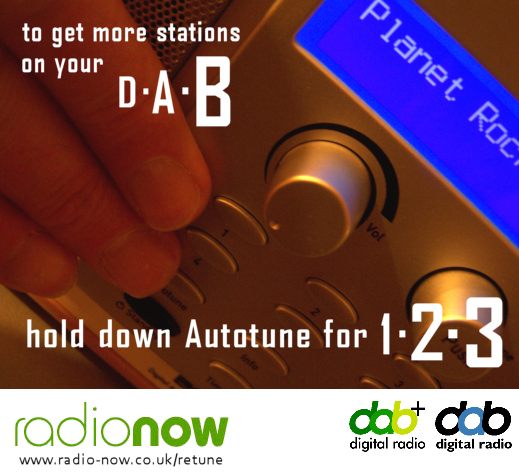 To receive DAB digital radio services, you need a type of radio designed to pick up digital broadcasts over the airwaves through its built-in aerial. We've advice on choosing a good model on our pages, or scroll down the page for some quick links to both DAB and wi-fi receivers.